Neanderthals were far from primitive in their domestic living arrangements, say anthropologists who have unearthed evidence that our prehistoric cousins organized their living spaces in ways that would be familiar to modern humans. The excavations took place at Riparo Bombrini, a collapsed rock shelter in northwest Italy where both Neanderthals and, later, early humans, lived for thousands of years. This study, published in theCanadian Journal of Archaeology, focused on the Neanderthal levels while future research is planned to examine the more recent modern human levels. According to Riel-Salvatore, the site comprises three levels that are attributed to Neanderthals. His team found that Neanderthals divided the cave into different areas for different activities. The top level was used as a task site – likely a hunting stand – where they could kill and prepare game. The middle level was a long-term base camp and the bottom level was a shorter term residential base camp. There were a large number of animal remains in the rear of the top level, indicating that the area was likely used for butchering game. In the middle level, which has the densest traces of human occupation, artifacts were distributed differently. Animal bones and stone tools (known as lithics) were concentrated at the front rather than the rear of the cave. A hearth was located in back of the cave about one meter from the wall. This, says Riel-Salvatore, would have allowed warmth from the fire to circulate throughout the living area. The bottom level, thought to represent a short-term base camp, is the least well known because it was exposed only over a very small area. 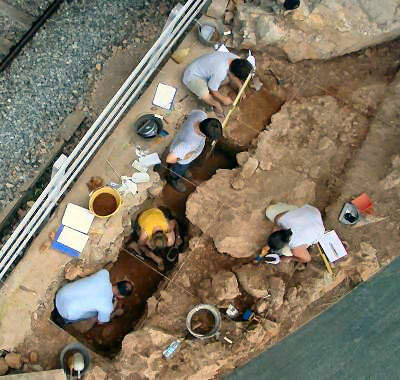 More stone artifacts were found immediately inside the shelter’s mouth, suggesting tool production may have occurred inside the part of the site where sunlight was available. 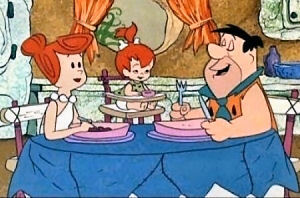 The new discoveries indicate that Neanderthals were more advanced in their domestic arrangements than originally thought. In an earlier study, Riel-Salvatore found thatNeanderthals were innovative, creating bone tools, ornaments and projectile points. He also co-authored a paper claiming that interbreeding between Neanderthals and humans was widespread. Although that claim is still being debated, there is evidence that up to 4 percent Neanderthal DNA survives in some present-day human genomes. DC Comics Strange Adventures #126 Neanderthal Man from Mar. 1961 in VG- Con.